Wine Bar George Opens May 19th at Disney Springs! The grand opening celebration of Wine Bar George begins at 5:00pm May 19th when the 1st glass of wine is poured! The restaurant’s namesake, George Miliotes, is a Master Sommelier – one of only 249 in the world. Wine Bar George is the only wine bar in Florida owned by a Master Sommelier and will offer more than 130 selections by the ounce, glass, and bottle in a range of varietals, vintages, and prices. This 200-seat wine bar is centrally located at The Landing. 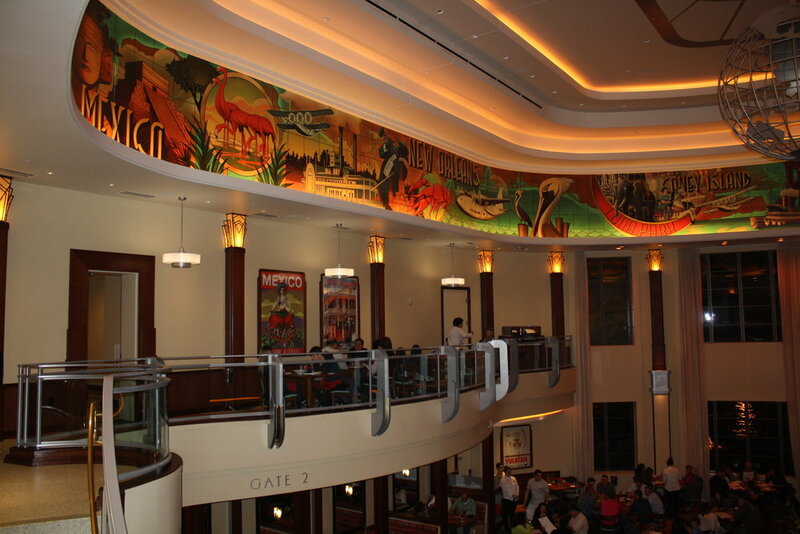 You can enjoy indoor seating with ambience reminiscent of a winemaker’s home or enjoy the sights and sounds of Disney Springs on the terrace with its fantastic views of The Landing and the waterfront stage. The Basket at Wine Bar George will offer European-style sandwiches, cheese, olives, hummus, charcuterie, cookies, and wines on tap—served to-go by the glass or carafe. Want more info on booking your next magical vacation? Contact our expert agents HERE today!! If you've followed along on any Upon A Star adventures or social media accounts, you probably know that Disney Springs is a rapidly changing and rapidly growing place! In fact, it was recently listed in a travel blog as one of the top 20 places to visit -- and I couldn't agree more! On our recent trip in January, Brady & I ventured with our friends down to Disney Springs several times - after all, a foodie's gotta eat! 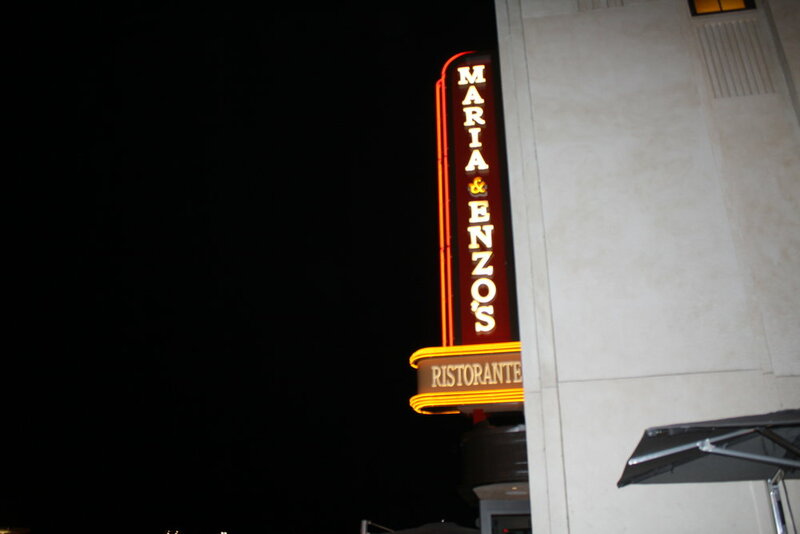 Maria and Enzo's is one of the newest eateries. It's themed - stick with me here - like an airport! 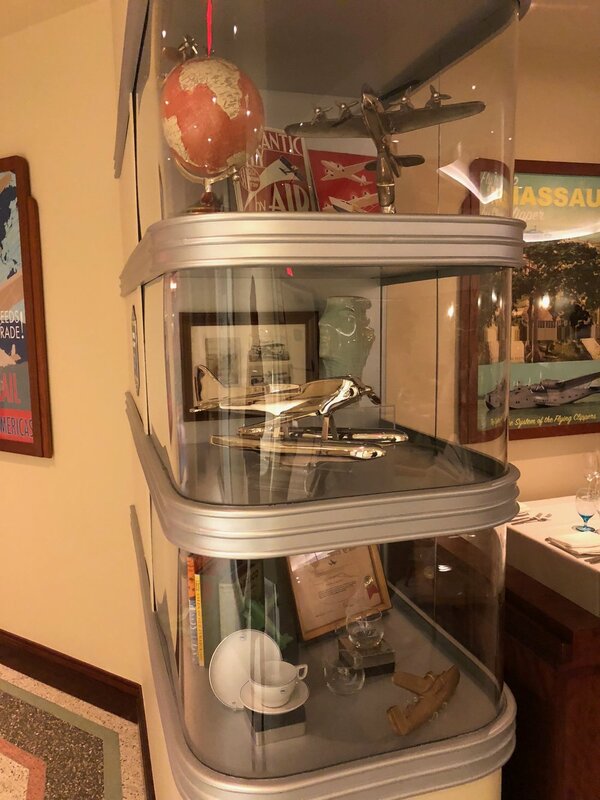 The back story is that Maria and Enzo had a small bakery in the airport, but when it closed, they converted the whole thing into a dream restaurant (with the help of the owner of the Edison next door - but that's another blog post!). As you might imagine, this restaurant serves Italian food. The views are fantastic -- overlooking the water -- and the food I had was wonderful. I loved the whole look and feel. 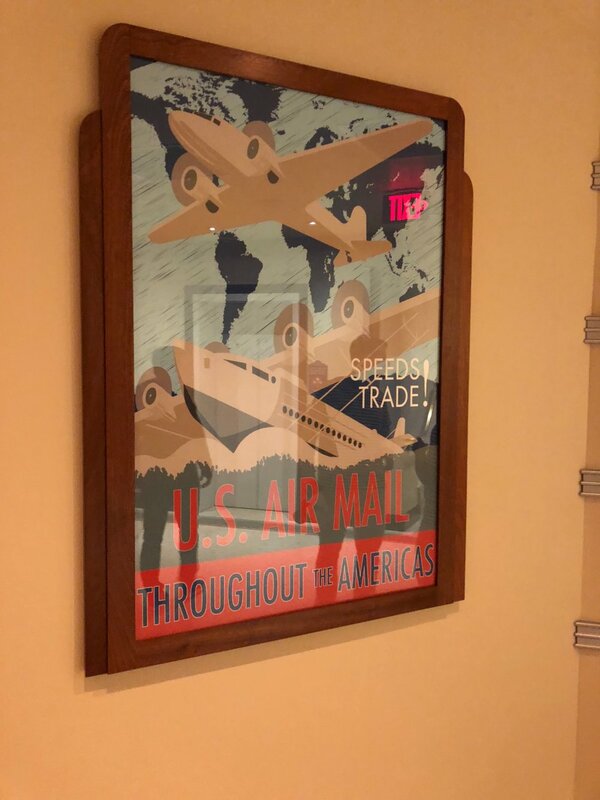 There were travel & aviation posters lining the walls, and the room had an open and airy feel. 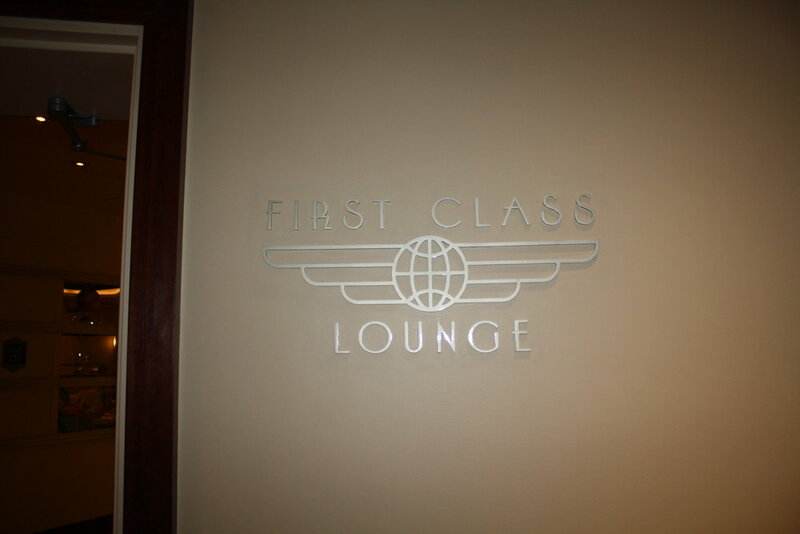 In addition to the main seating area, there is also a "First Class Lounge". There are no outside views, but it does have tablecloths! 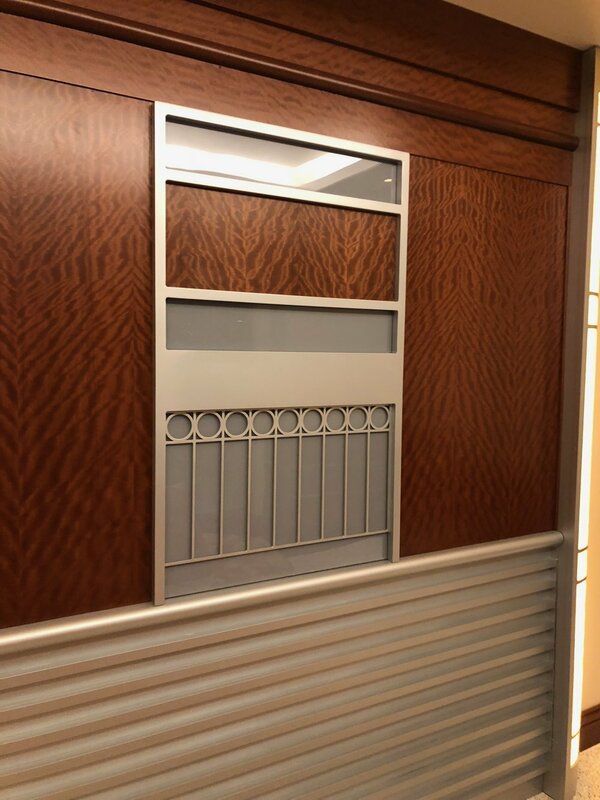 Due to the diners, i couldn't snag a picture of those tables. But let's talk about the real star here - the FOOD. 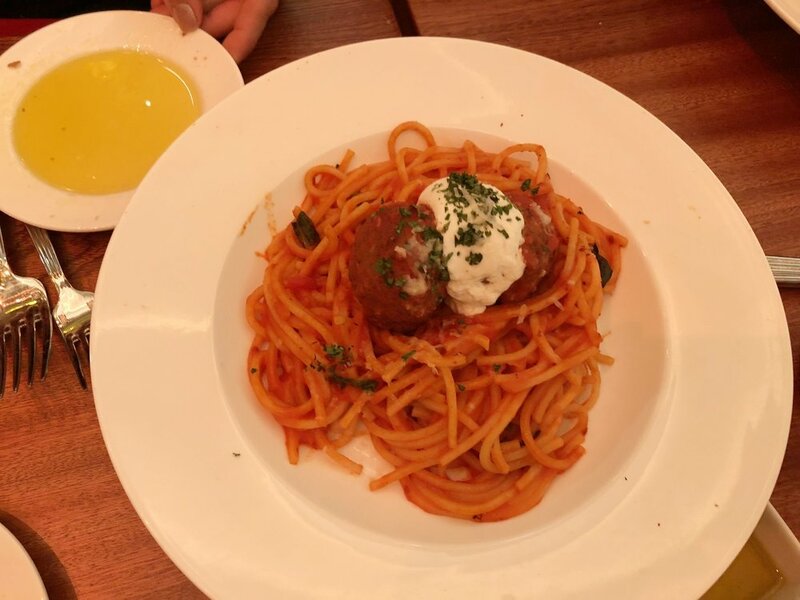 I love Italian food! And I really enjoyed everything! The menu is somewhat limited, but very good. 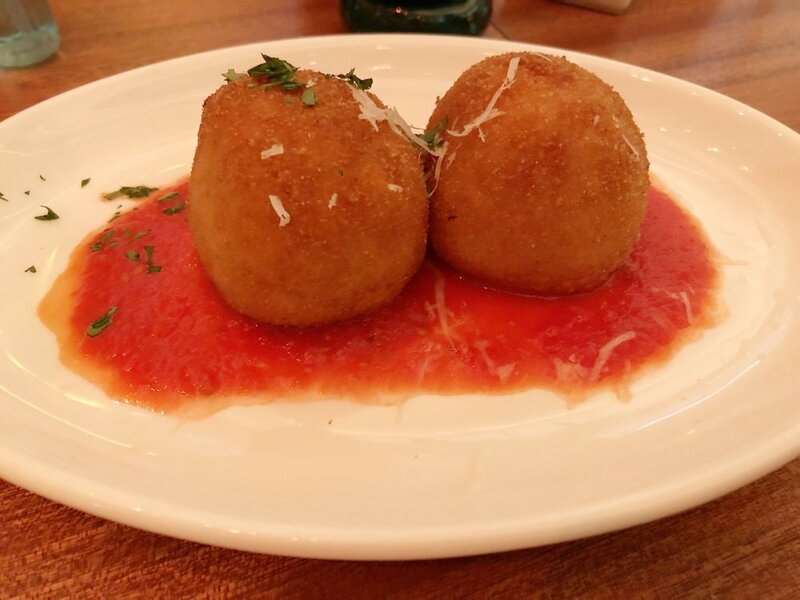 The first picture was our appetizer, the Arancini di Carne (fried rice stuffed with meat ragù, peas and mozzerella). 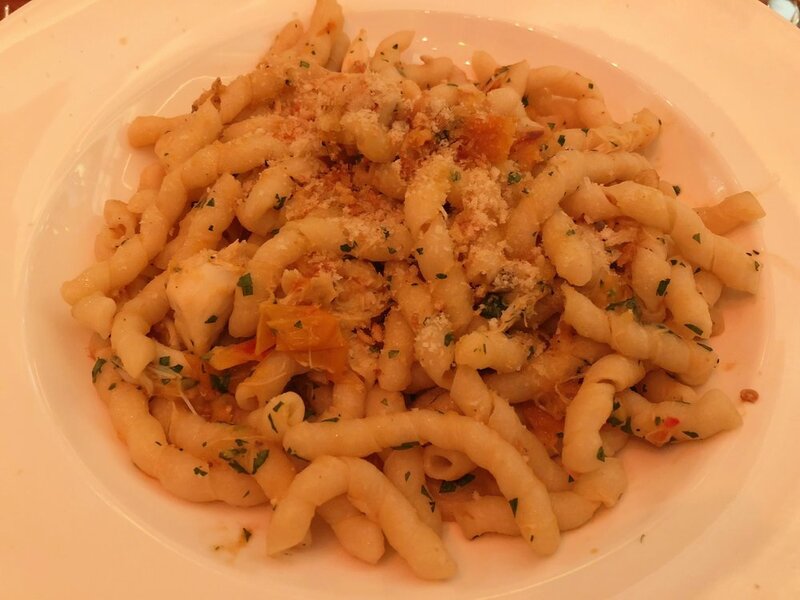 For my entree, I had the Busiate con Granchio (spiral pasta with lump crab meat) -- it tasted fresh and was so delicious! 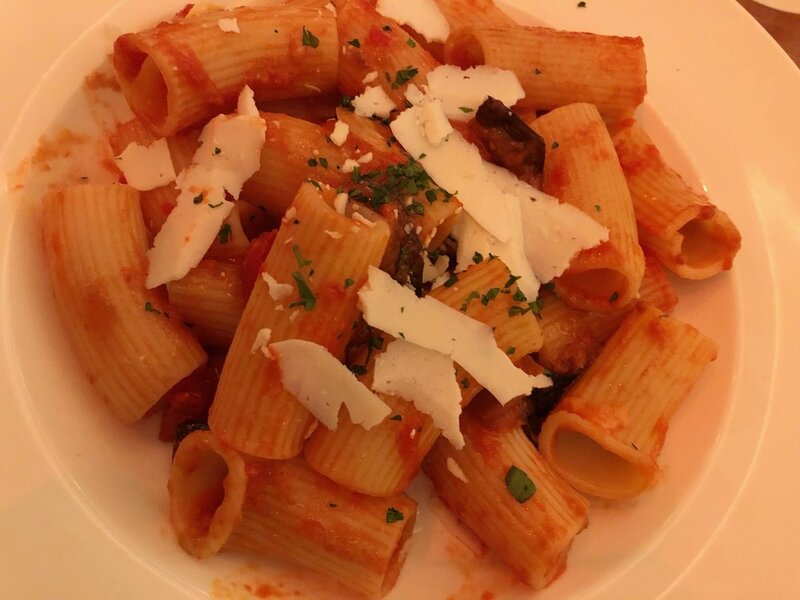 Brady had the Rigatoni, and our friends had the Spaghetti. Desserts were the Cannoli and the Sicilian Ricotta layered sponge cake. All four of us were impressed with our food - and with our server! Martina was amazing - be sure to request her table when you go! In terms of pricing, you are definitely going to pay over $20 per entree. Disney Dining Plans are not yet accepted; but for me, I don't mind paying for a great meal every now and again. Want to try it for yourself? Let your Upon A Star agent know that Maria and Enzo's is a must on your next trip -- we will set it all up for you. On my recent trip to Walt Disney World, my hubby and I spent some time exploring the newly expanded Disney Springs area. While it isn't completely finished yet, much of the area known as "The Landing" is largely construction free, and the West Side is coming along beautifully. The Marketplace has some fresh expansion as well. So let's begin with the Landing. We ate lunch at the Boathouse on this particular visit. The Boathouse is considered signature dining for dinner, so it requires 2 Table Service credits. In this case, we opted to pay out of pocket. The Boathouse is beautiful, and as you might imagine, has a nautical theme. It also features Amphibious Cars, which you can pay to take a ride in! They are really cool. Oh, and the blackened salmon BLT was amazing! But the Boathouse isn't the only new addition. Right next door, take a trip into the world of Indiana Jones by visiting Jock's Hangar. I loved all the subtle nods to the classic Indiana Jones movies. Although I didn't get one, they DO offer really cool looking souvenir mugs! A spot that I have been really excited about is the new Ganachery, which features an onstage kitchen that produces amazing chocolate! The assortment was to die for, and the taste ... incredible! I tried the Egyptian Sea Salt Dark Chocolate, and it was everything I hoped it would be! Although I didn't get to head in and try yet (stay tuned, I'm eating there in March! ), Morimoto Asia is now open! Another great addition (that I missed getting a picture of) is the Gelato Shop. And if you go there, you must try the Riso! It was a surprisingly yummy treat! Moving on to the West Side, many things have remained the same, but there were two additions/changes that I was really excited about! Now it boasts a Star Wars Galactic Outpost as well as a Marvel Super Hero Headquarters! There is still a lot of construction occurring here, but there are more great shops and restaurants to come! Of course, the Marketplace is still a great place to shop. The World of Disney Store is newly expanded, and as always, the Lego Store is a fun place! It also has my favorite shops, Tren-D and the Co-Op. Inside the Co-Op, there is a great new men's store, Twenty-Eight and Main. My hubby really enjoyed shopping here! I am excited to see how this area continues to transform, and I will definitely keep blogging about the changes as I experience them! What are you most excited about? Comment below!